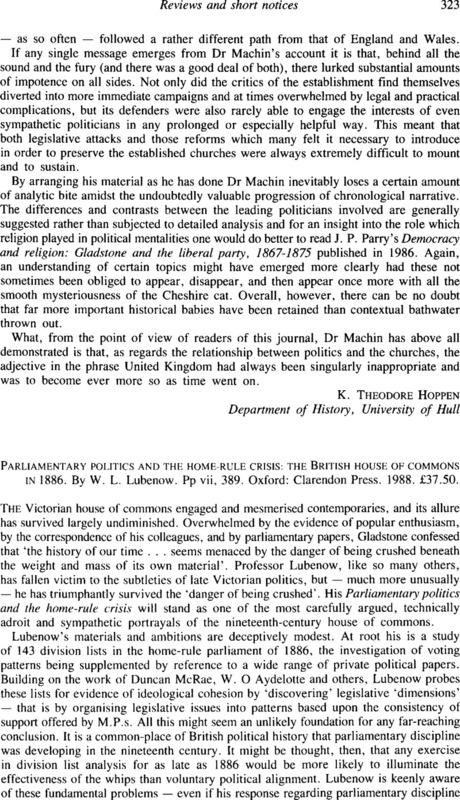 Parliamentary politics and the home-rule crisis: the British house of commons in 1886. By W.L. Lubenow. Pp vii, 389. Oxford: Clarendon Press. 1988. £37.50.